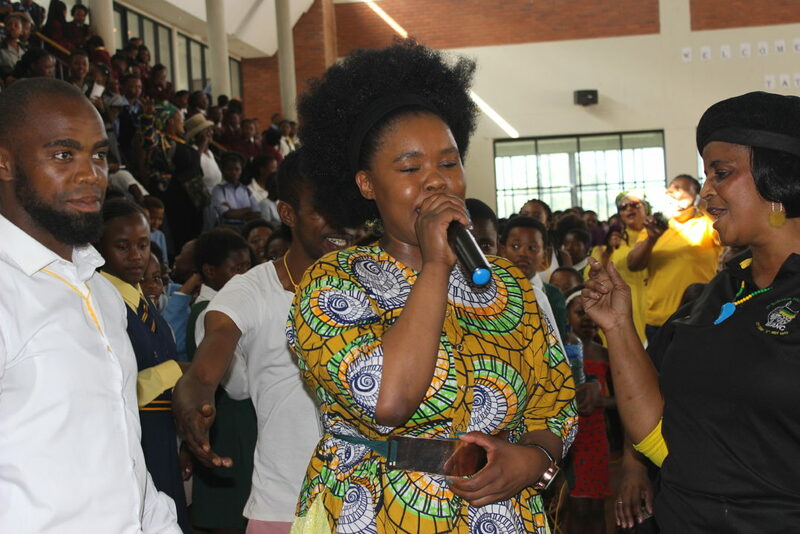 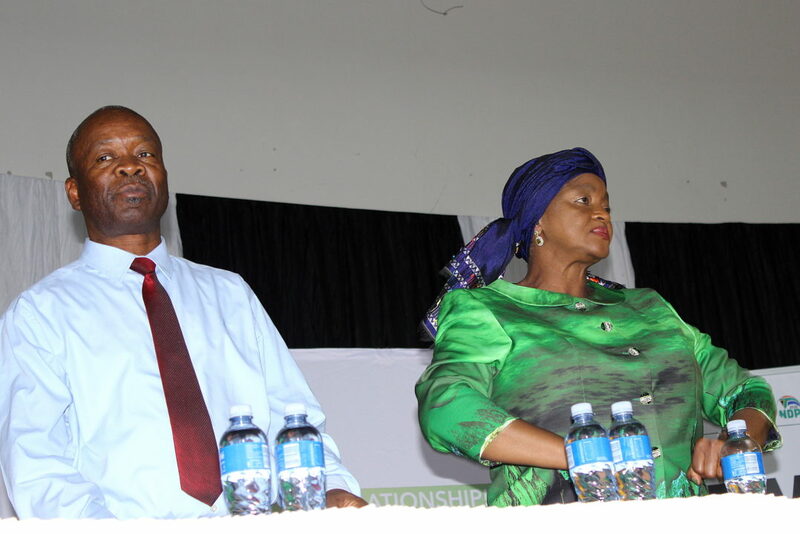 Popular gospel singers, Yolanda and Butho Vuthela, were big hits at the Indoor Sports Centre. 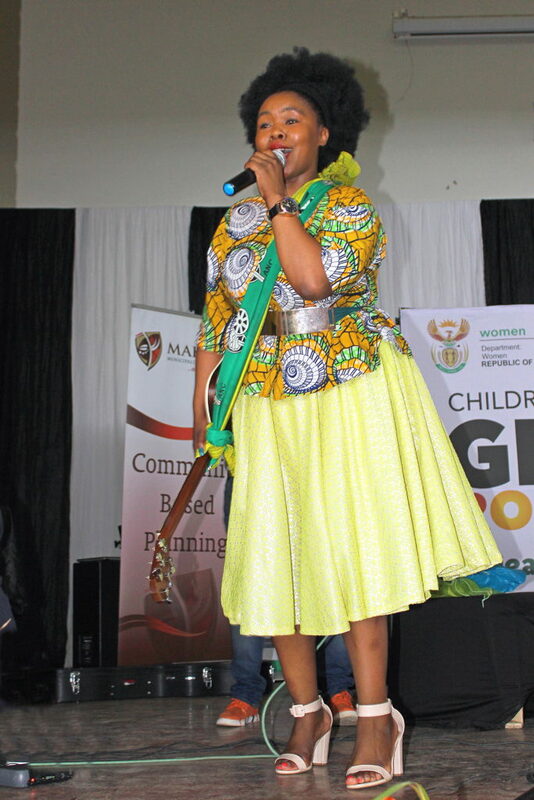 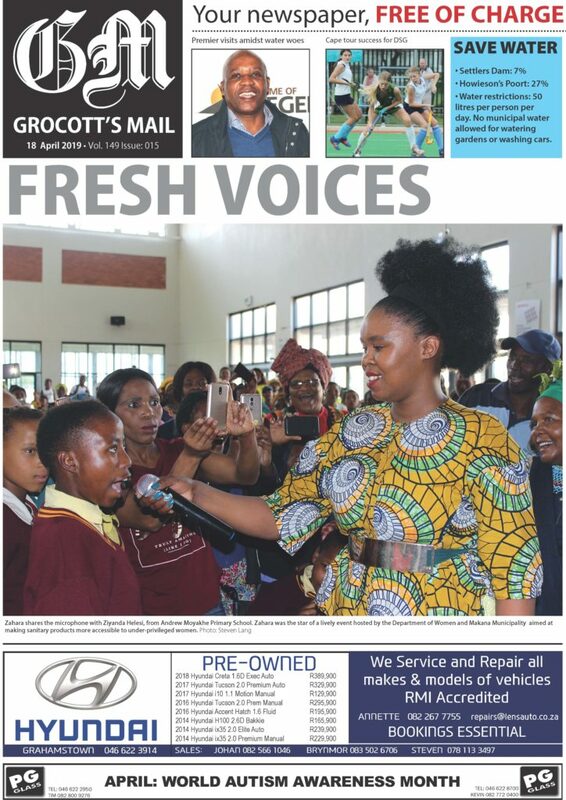 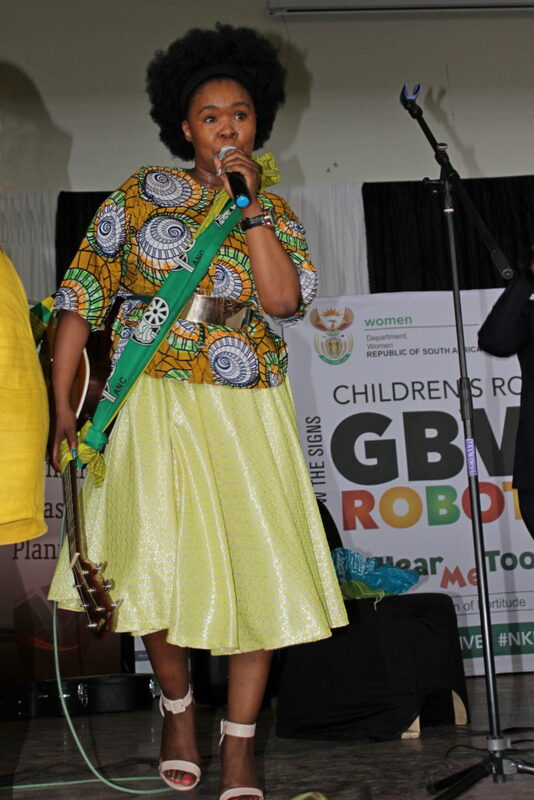 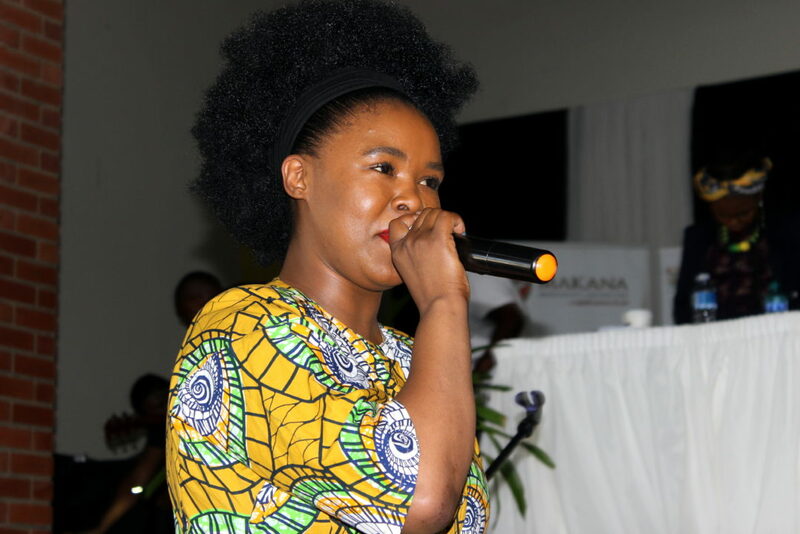 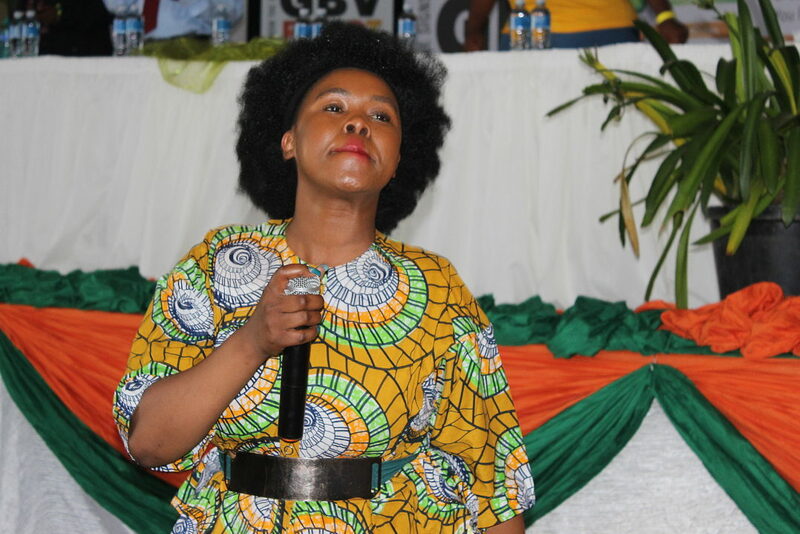 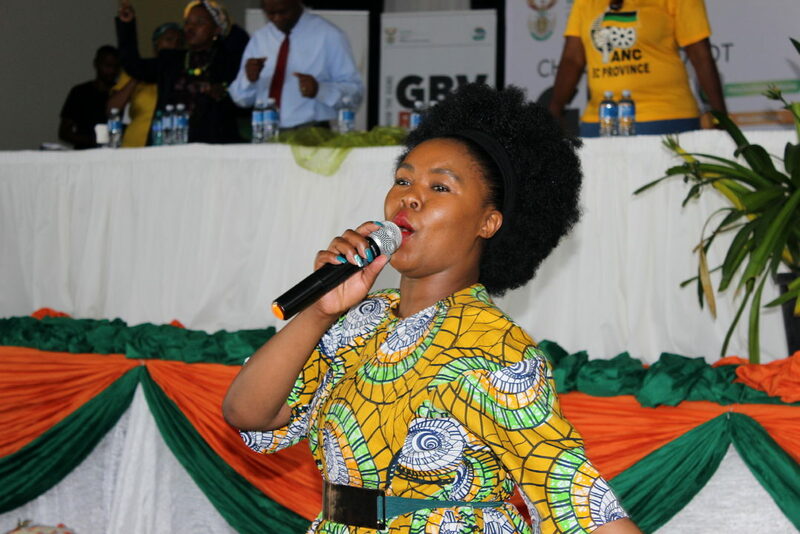 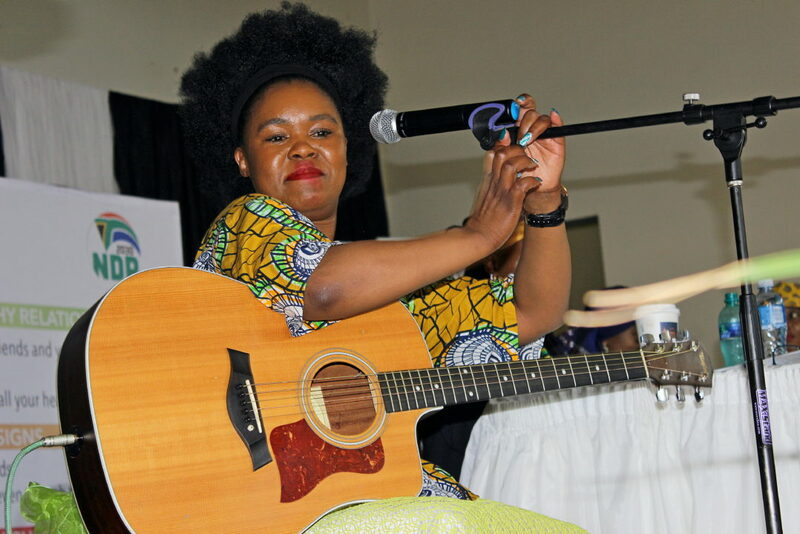 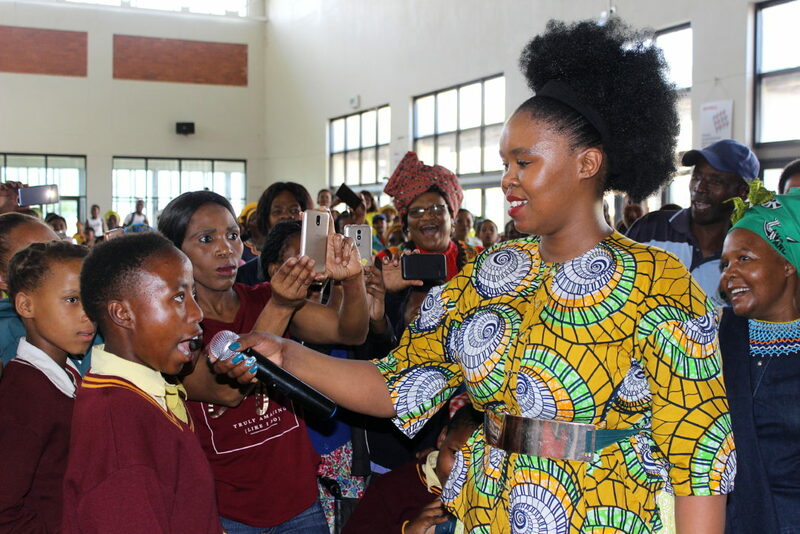 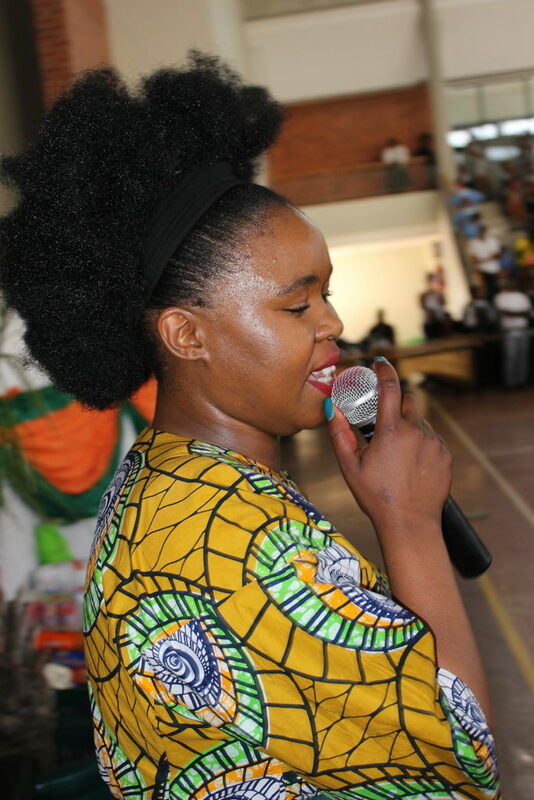 Wildly popular singer and songwriter, Zahara was the headline attraction at Saturday’s launch of the Department of Women’s Sanitary Dignity Programme. 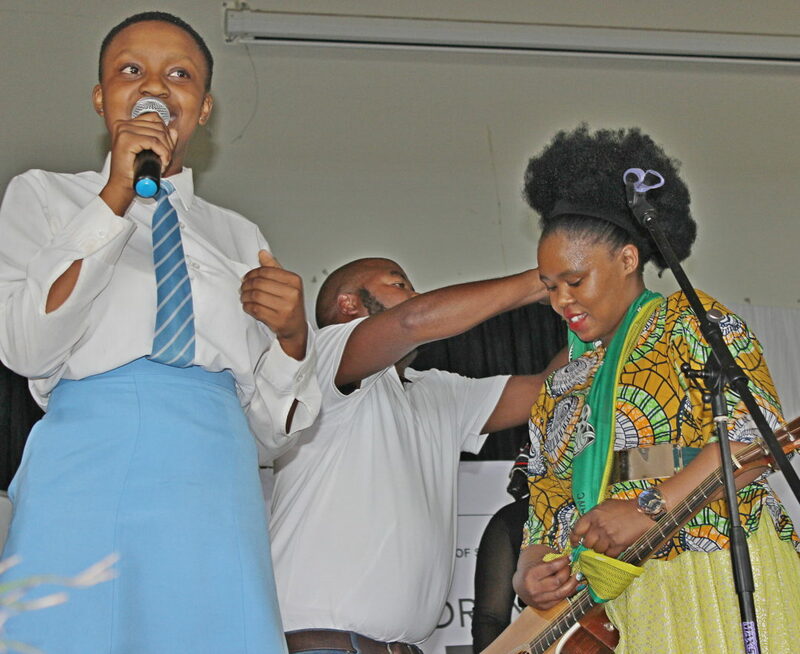 The close to 800-strong crowd of mainly schoolgirls and women roared their approval as the East London singer playing her guitar did various numbers on stage. 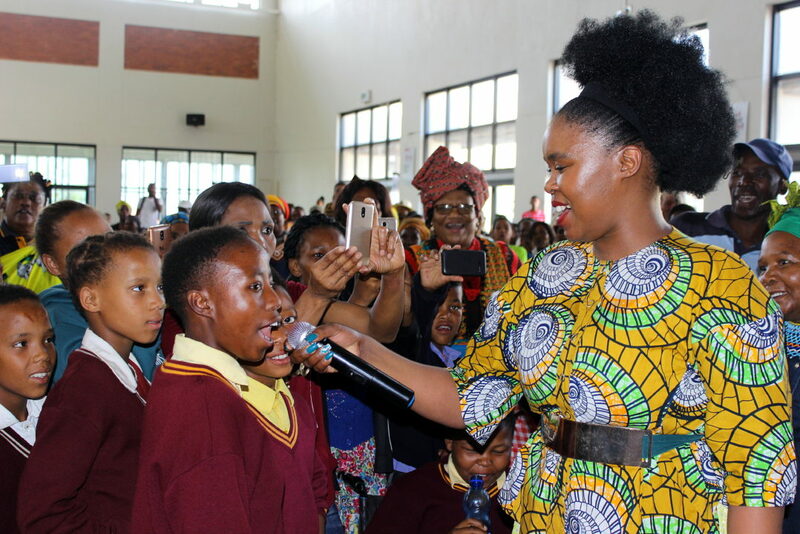 Fans then verged on the delirious as Zahara left the platform and danced among crowds of adoring supporters, inviting a few lucky girls from local schools to sing along. 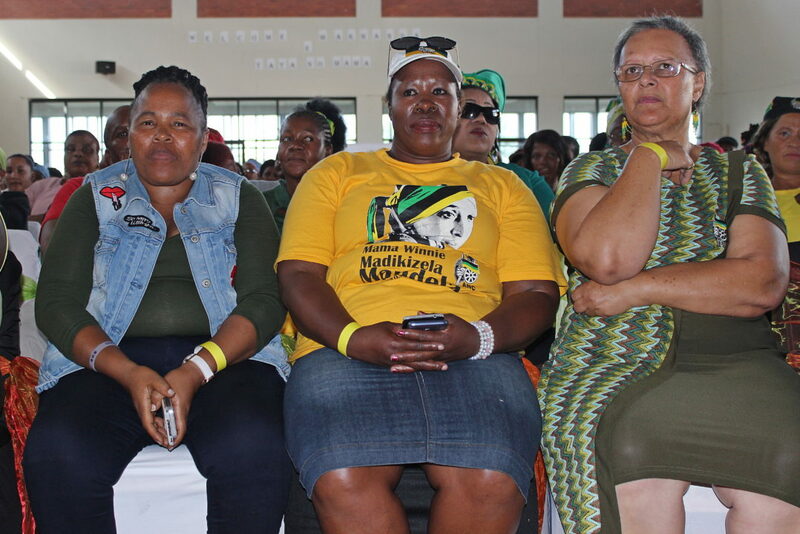 The Department of Women, in partnership with the Eastern Cape Provincial Government, hosted the Provincial Launch of the Sanitary Dignity Programme at the Indoor Sports Centre in Makhanda. 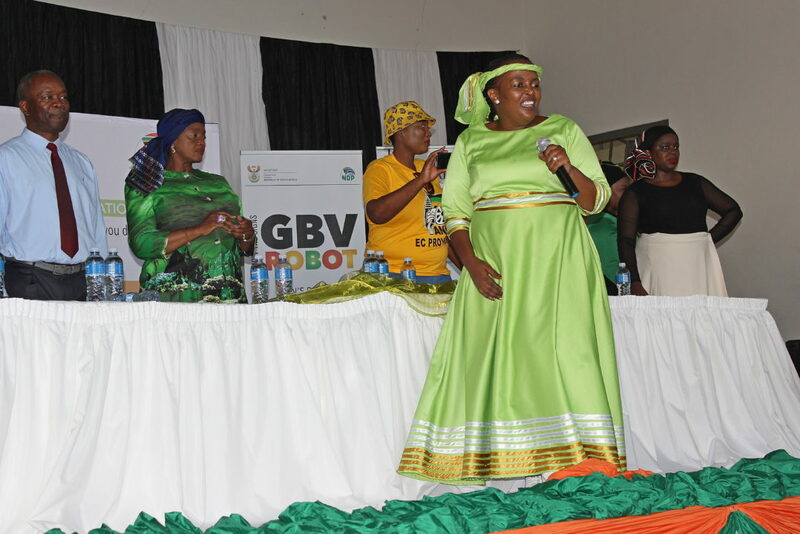 The provincial launch was part of the Department’s Sanitary Dignity Policy Framework which seeks to provide sanitary towels to indigent girls and women. 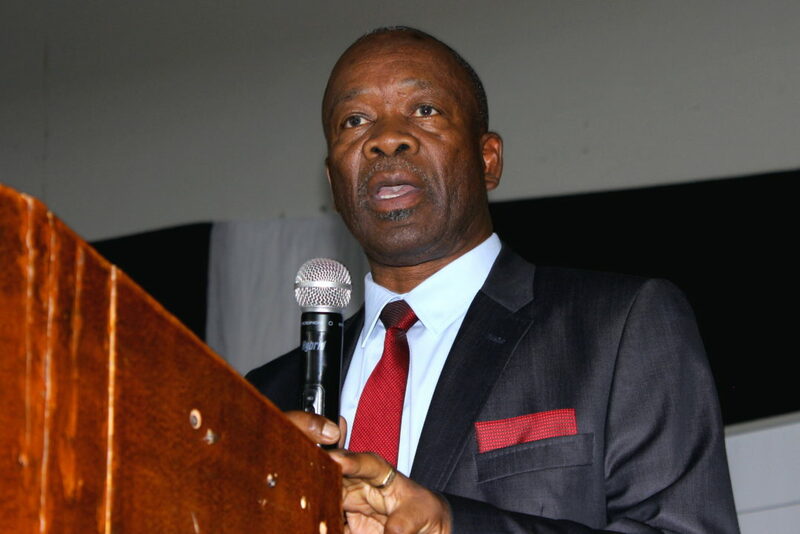 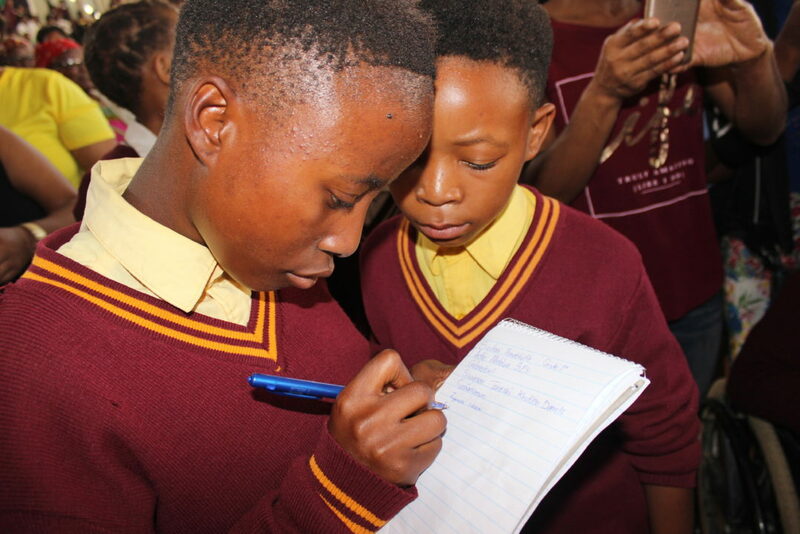 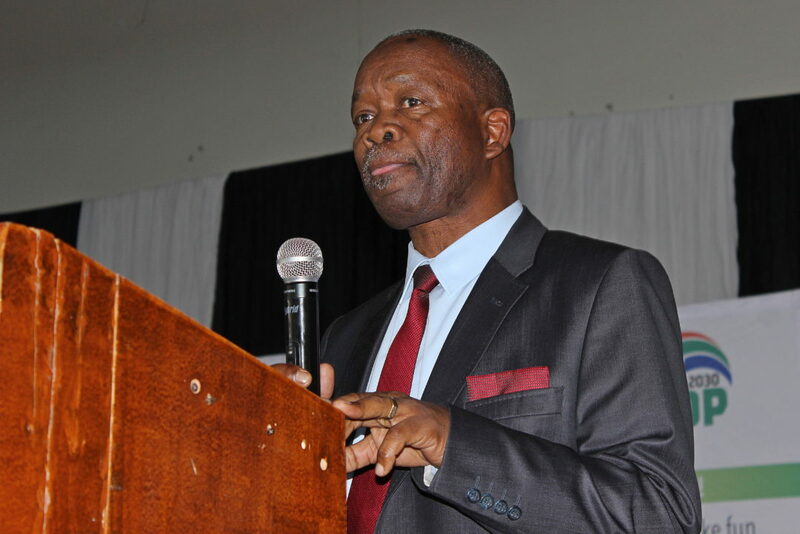 According to the Department, the aim is “to ensure that no girl misses school due to not having sanitary dignity products to manage a natural biological process”. 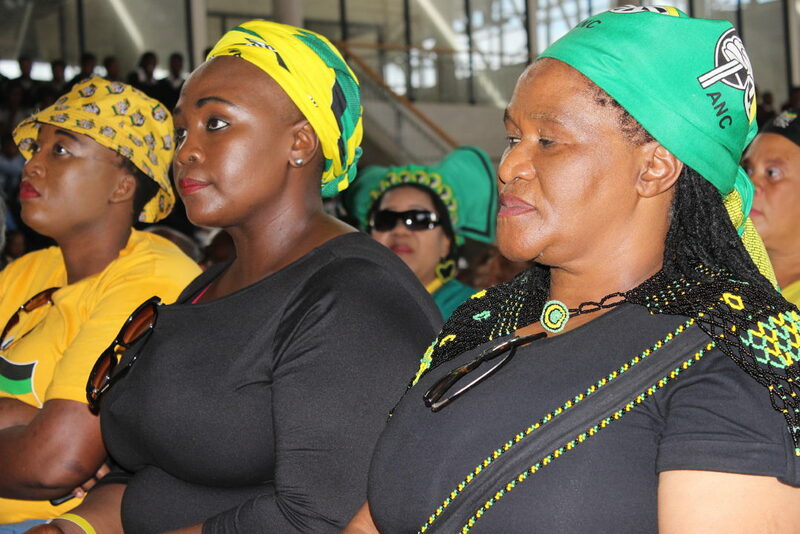 In an effort to achieve this goal, the government announced that there would be zero-tax rating on sanitary pads from the first of April this year. 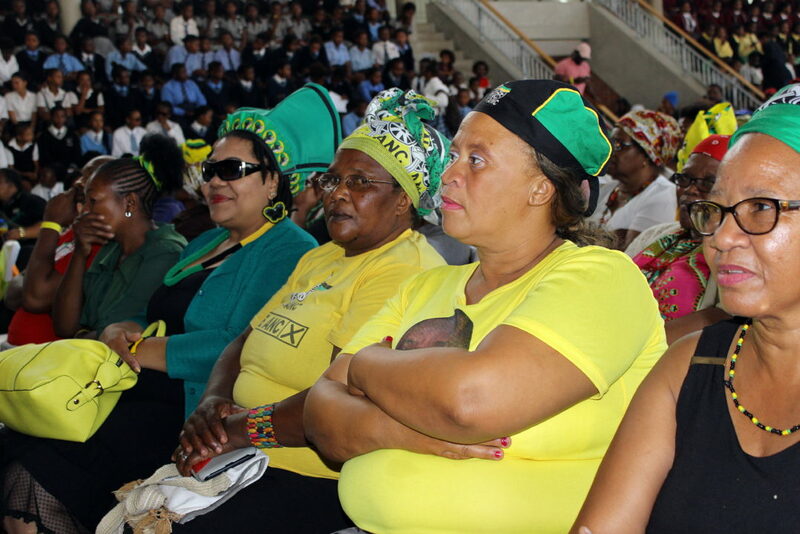 It also allocated R23 million for the provision of sanitary towels in the Eastern Cape in the 2019/2020 financial year. 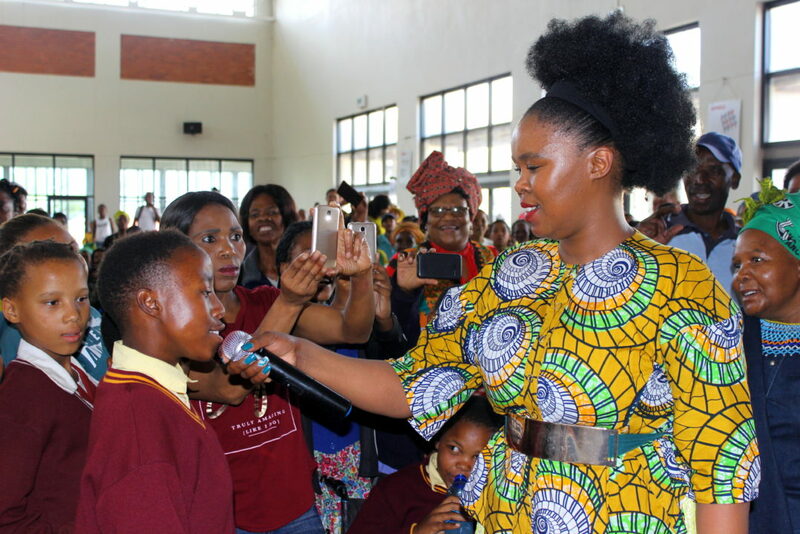 The event was held to assist underprivileged girls and women cope to with their menstrual cycles. 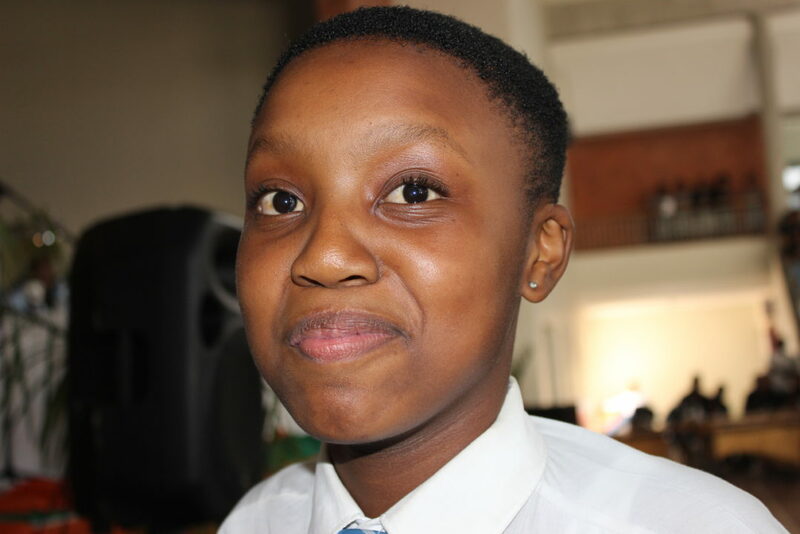 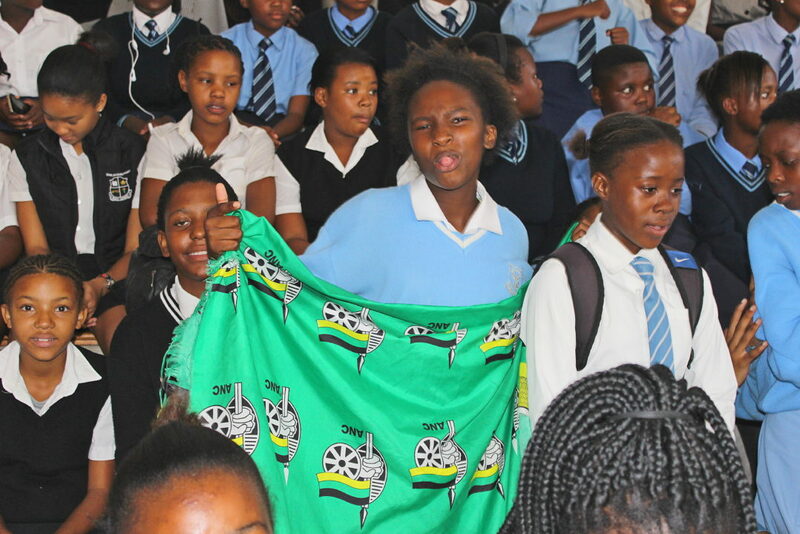 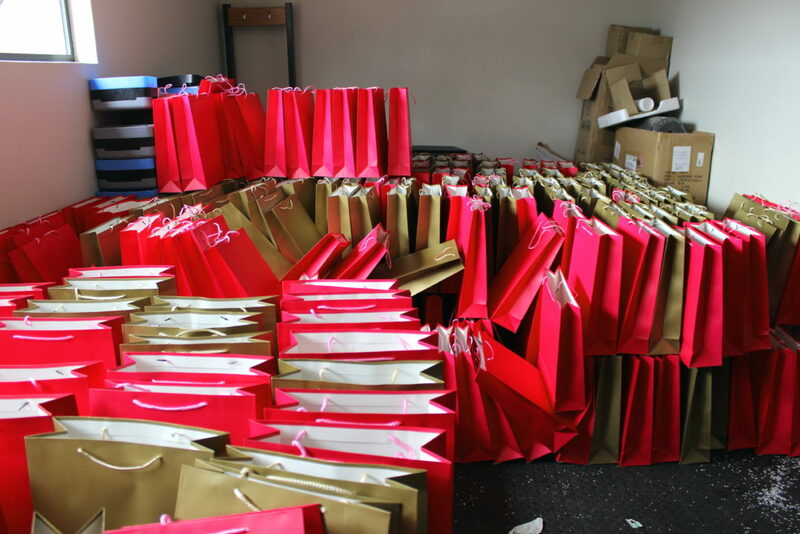 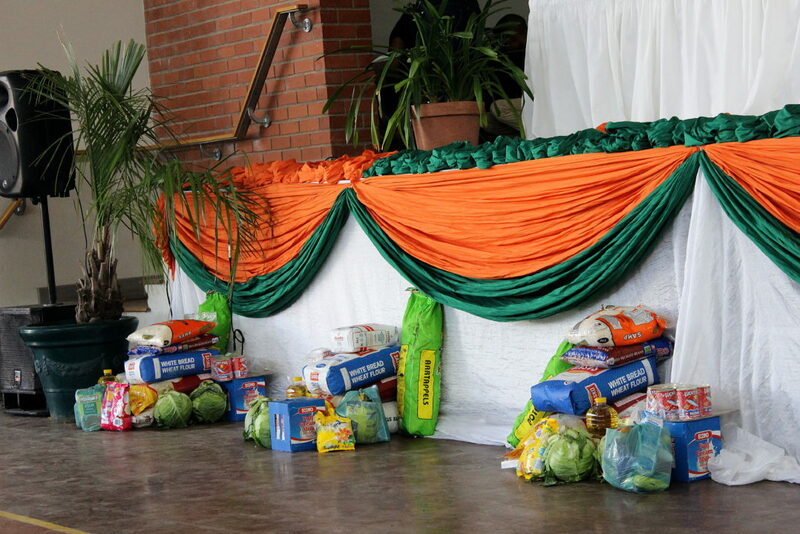 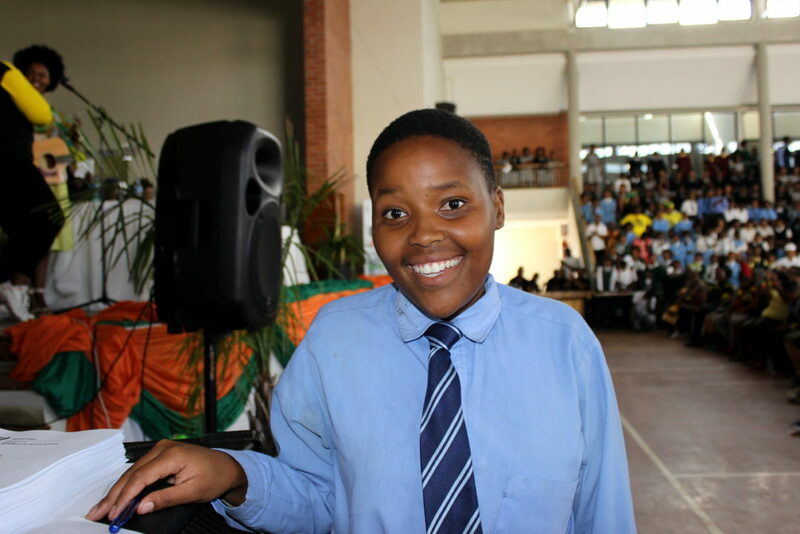 Hundreds of school girls wearing the uniforms of Makhanda township schools were part of the delighted crowds that received shopping bags carrying sanitary pads from the the Minister of Women, Bathabile Dlamini. 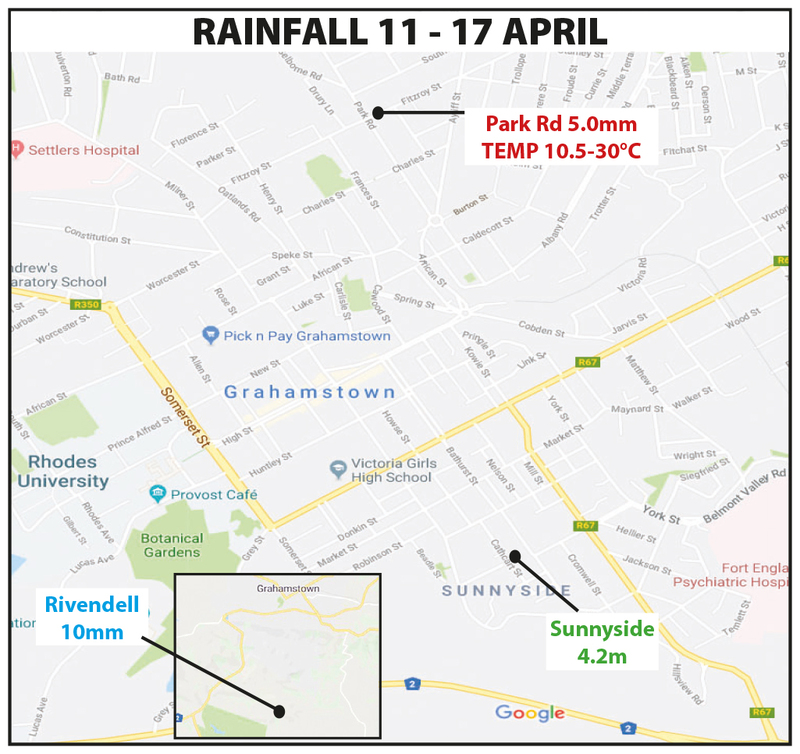 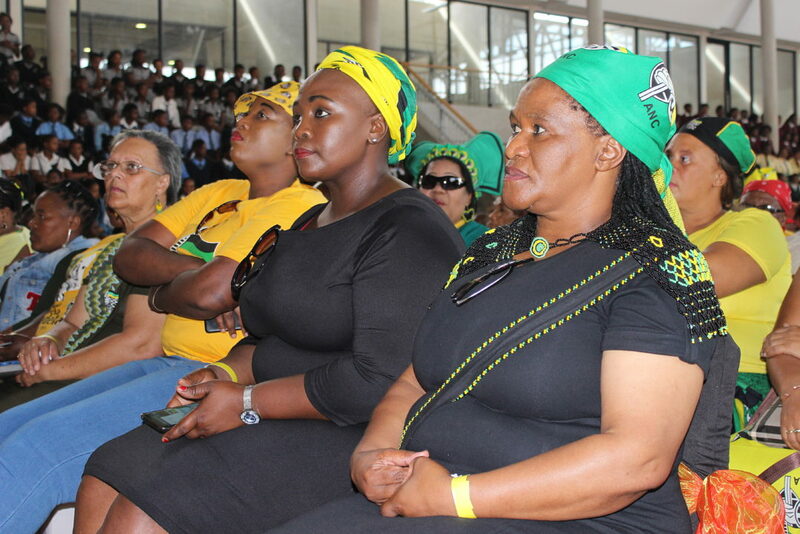 It was not clear whether Saturday’s launch was a government-sponsored event, an ANC rally or a combination of both. 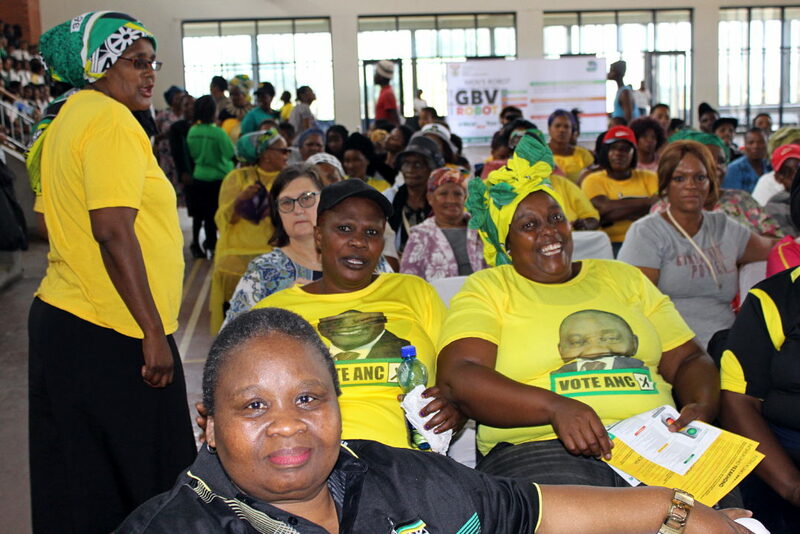 Hundreds of people in the audience were wearing ANC flags, scarves or T-shirts, while there was not a single logo visible of any other party. 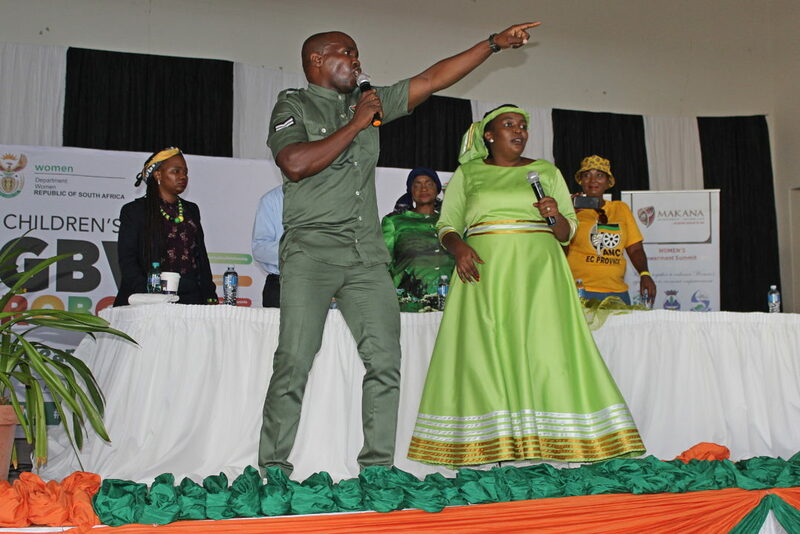 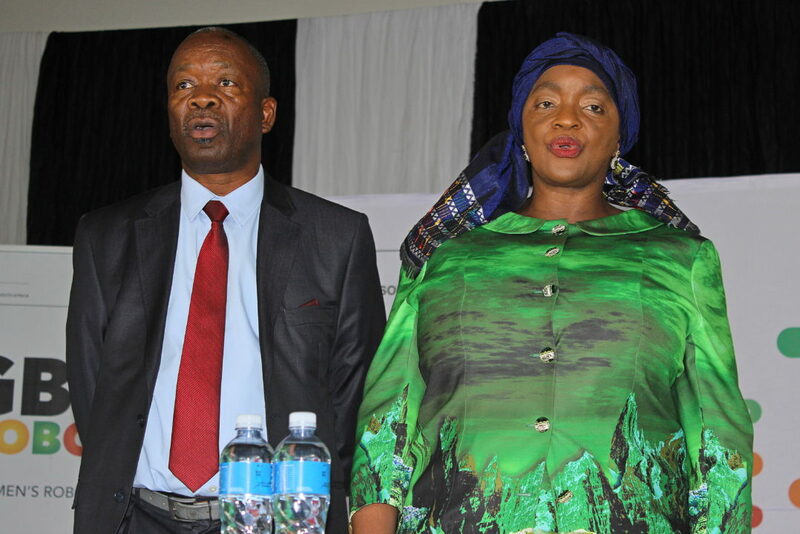 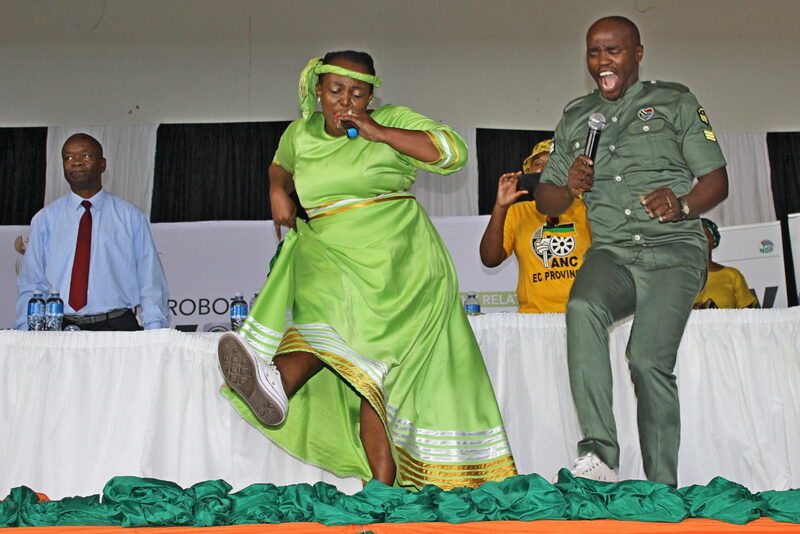 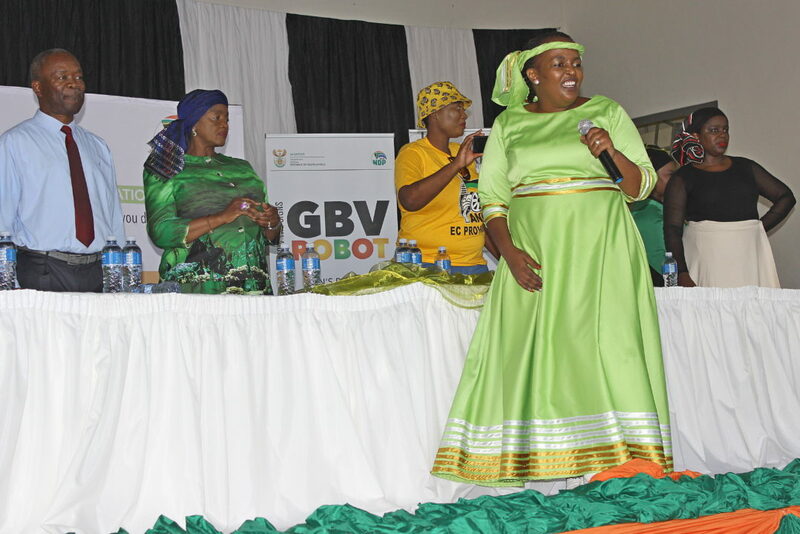 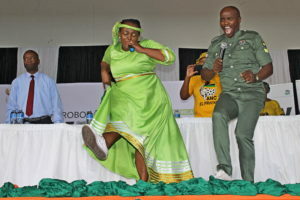 The Minister of Women and Head of the ANC Women’s League, Bathabile Dlamini and Makana Mayor, Mzukisi Mpahlwa led the delegation on stage and clearly enjoyed the rich entertainment as much as anyone else. 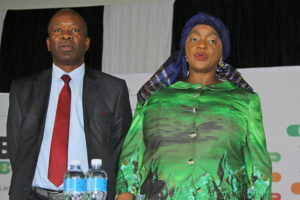 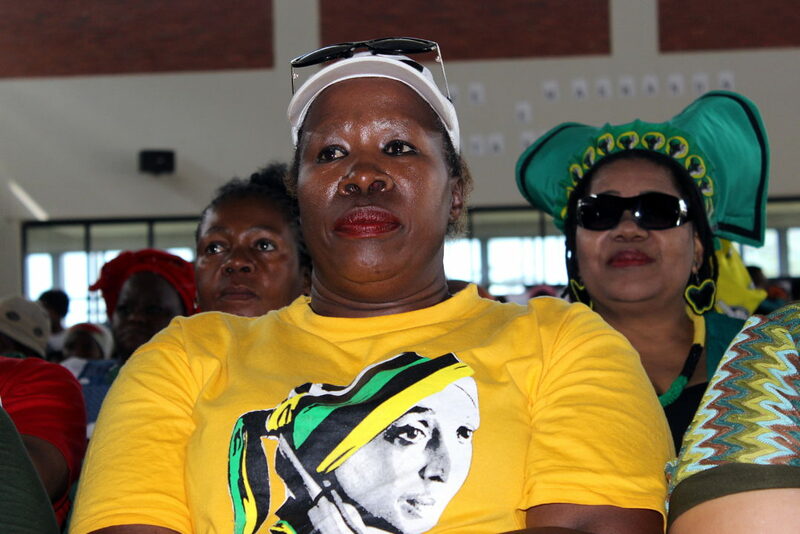 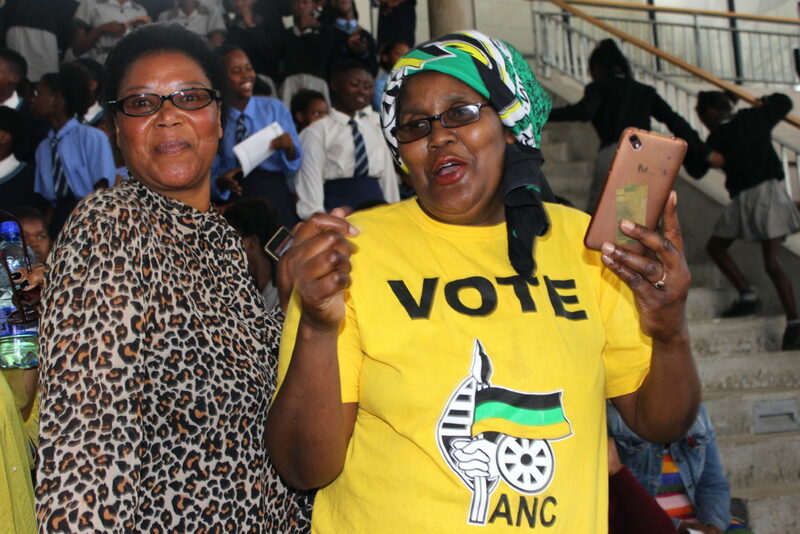 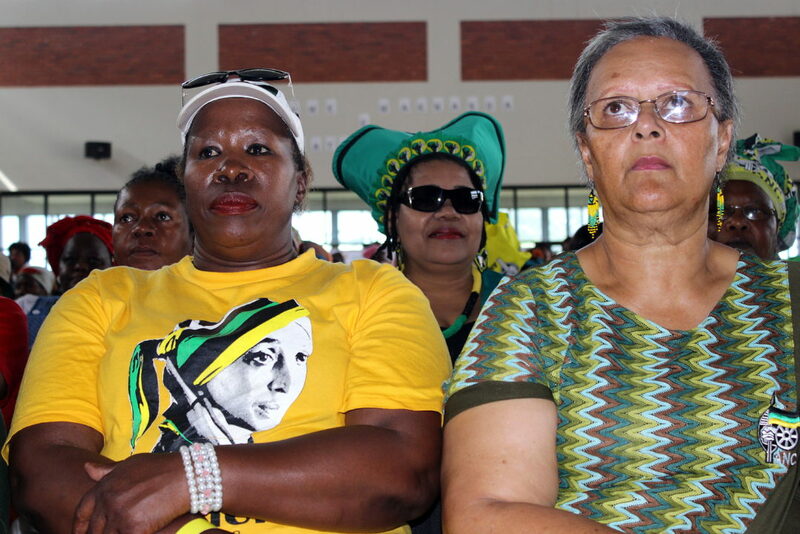 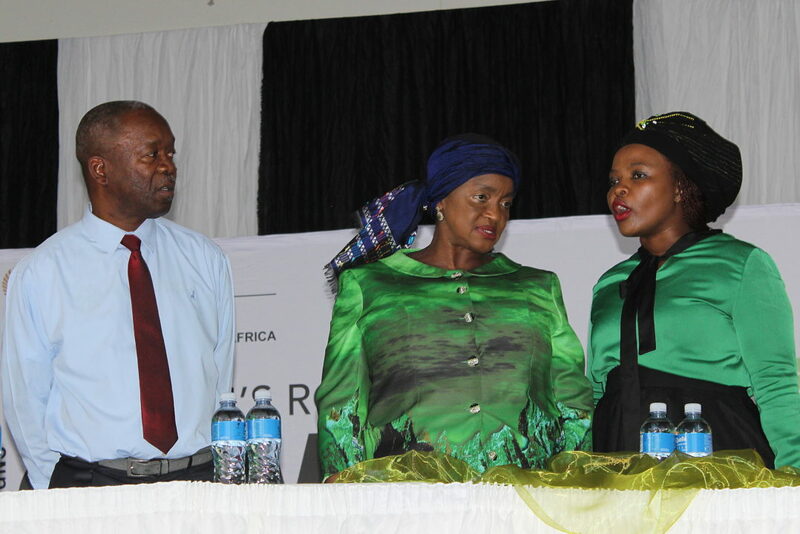 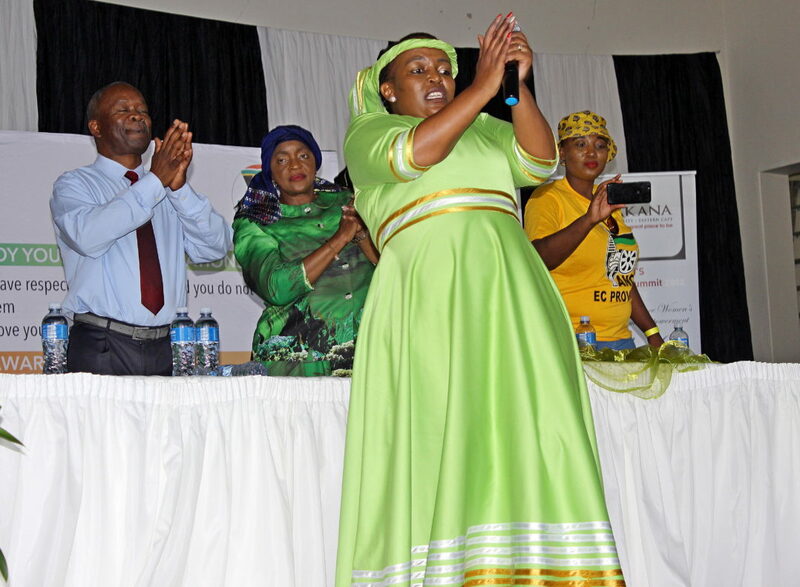 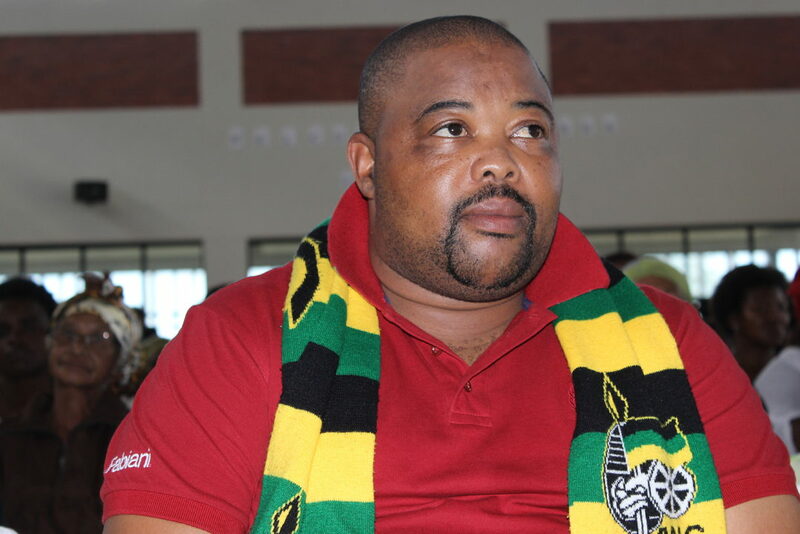 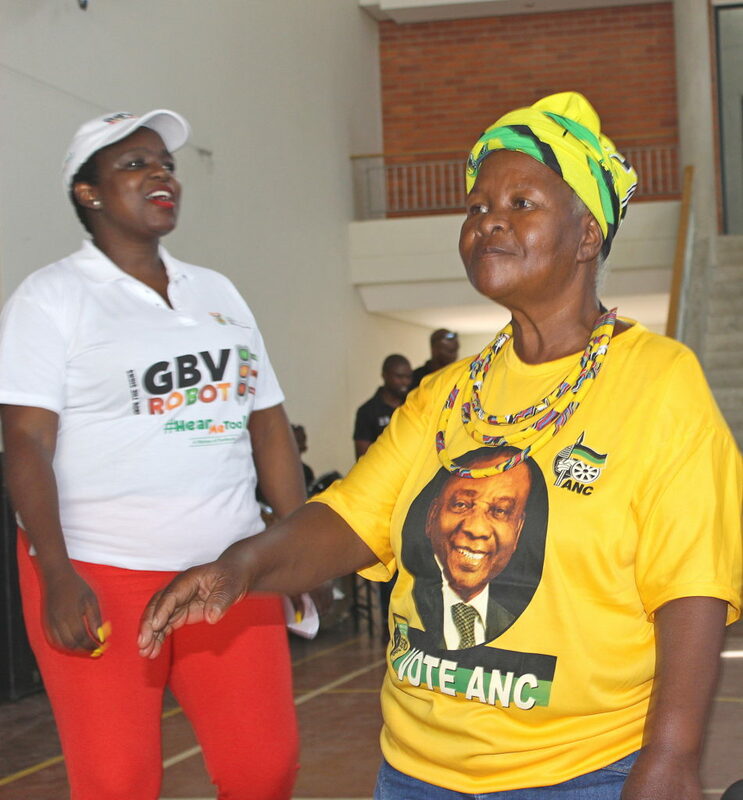 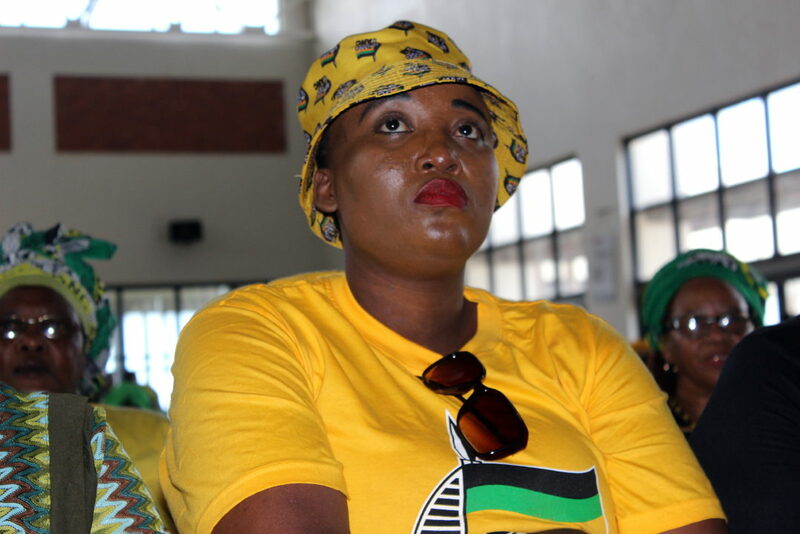 Makana and Ndlambe ANC Councillors, as well as members of the ANC Women’s League regional leadership, all wearing party regalia, were present in the audience. 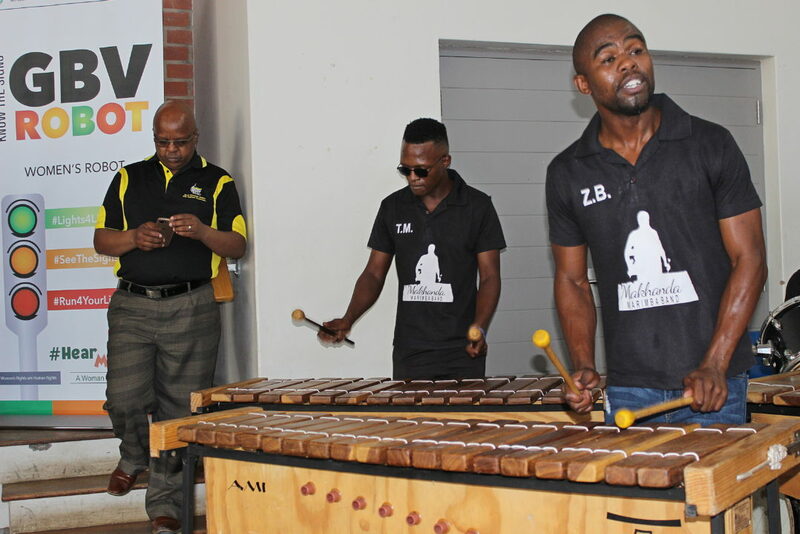 The Makhanda Marimba Band in their stylish new golf-shirts kept the crowds entertained, but it was the high-energy duo of Yolanda and Butho Vuthela that really set the crowds alight. 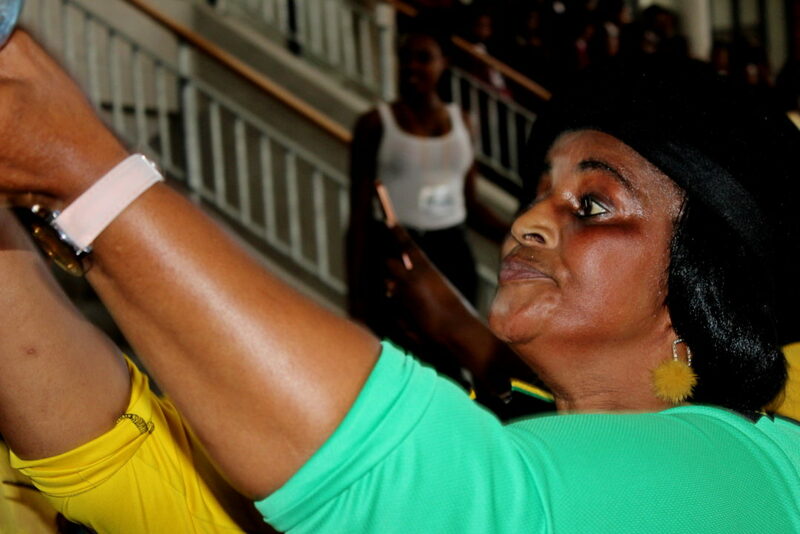 The gospel stars rocked the Indoor Sports Centre like it has never been rocked before. 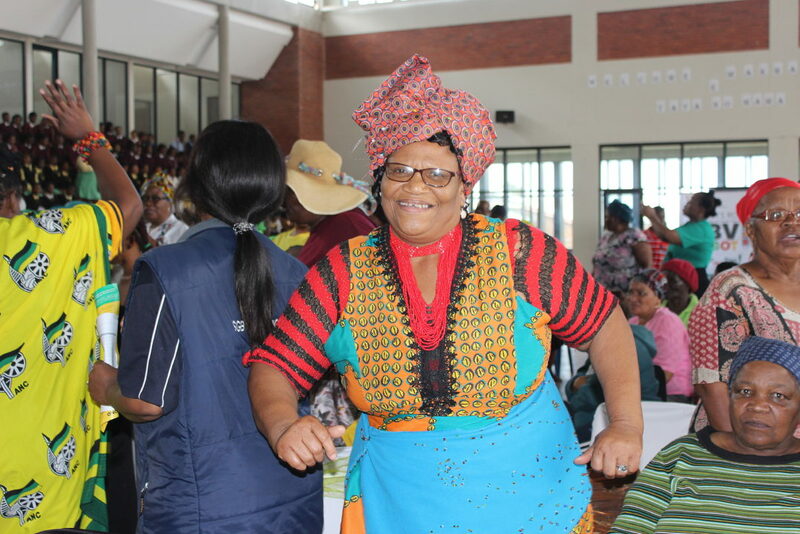 It wasn’t always crystal clear what the main objective of the gathering was, but there was no doubt that everyone loved the music and had a great time.